We all have our favourite comfort foods. They calm our mind; they soothe our soul. It provides feelings of nostalgia, sentimentality and safety. We turn to them because they make us feel happy or even help us celebrate the fact that we feel happy. According to the Cornell University Food and Brand Lab, we tend to eat comfort foods as a reward, and not when we are depressed. About 86% of those surveyed say they seek out comfort foods while they are in a happy mood, as opposed to 36% who say they eat comfort foods when they were depressed. Let’s admit it: we love our instant noodles, in all its sodium glory. Not the healthiest choice around, but that doesn’t mean we need to forgo our comfort. 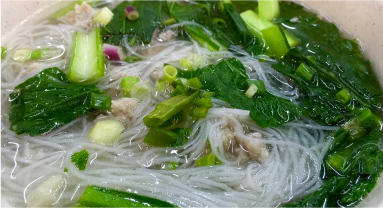 Swap out those fried yellow noodles for bee hoon (rice vermicelli) or tang hoon (glass noodles). Discard the packet of seasoning and toss in some vegetables to make a stock that adds flavour and boosts nutrition at the same time. 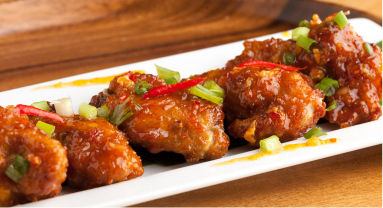 Instead of deep-frying chicken wings which strips the chicken of its health benefits as a protein source, brown them in a pan and bake in the oven for 20 minutes. You may also marinate the chicken wings in coconut oil and almond flour to bring out the flavour in the chicken, giving you crispy and delicious chicken wings. 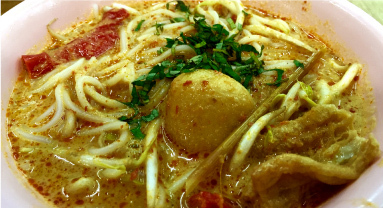 A guilty pleasure for many Singaporeans, laksa is a dish consisting of thick rice noodles, fishcake, beansprouts, prawns and cockles in a rich, smooth gravy made with fresh coconut milk, dried shrimp and spices. For a low-fat version without losing the flavour, replace the coconut milk with skim evaporated milk or unsweetened soya milk. Substitute cockles with chicken breast fillets and throw in leafy vegetables like pak choy.